We knew we could help her if our music could pay. 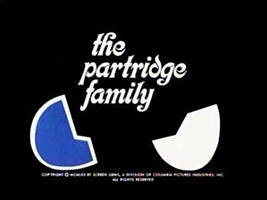 Based on the popular musical family the Cowsills, The Partridge Family develops the story of five siblings and their divorced Mom who form a musical group and tour the country. The Mom is played by Shirley Jones who does her own singing in the series. The eldest son, Keith Partridge is played by David Cassidy who also does his own singing and becomes something of a pop star in real life. 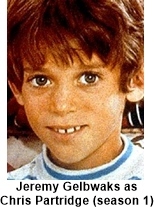 The other siblings in order of age are Laurie (Susan Dey), Danny (Danny Bonaduce), Chris (Jeremy Gelbwaks season 1) & (Brian Forster seasons 2-4) with the youngest being Tracy (Suzanne Crough). they hire a manager Reuben Kincaid (Dave Madden) who becomes like another family member. At the beginning of its fourth season ABC moved the show Saturdays to compete against All in the Family and its ratings tanked, forcing ABC to cancel it. Four seasons and eight successful albums is not bad for a ficticious singing family. 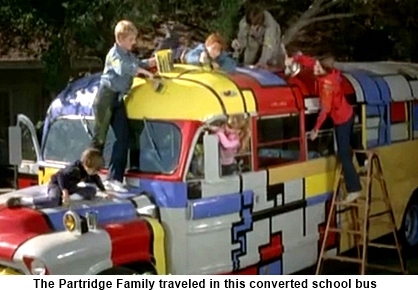 Did the Partridge Family cast do their own singing in the show? Well, yes and no. They all tried singing in a recording studio but only Shirley Jones and David Cassidy were deemed good enough to do their own singing. The other kids voices were dubbed in by professional singers. Also interesting: The exterior of the Partridge house is the same exterior used in “Bewitched”, “The Donna Reed Show”, and “Til Death”.